By mid-November, as I do every year, I should be organizing my trip back home. I should be excited about seeing all of my friends and family members again, thinking about what to cook for Christmas dinner, and checking the cheapest flights to get there. I’m magnificent at that. But this year is different. This year I’m not flying back home. I decided to spend this time of the year somewhere else. This year, I’m traveling and working, and I want to spend Christmas time somewhere new. Somewhere new, far from home, but still at home. It’s weird, but maybe you understand what I mean if you have the freedom to travel and work. You’re far from home, but have a community to belong to. “I might be a digital nomad, but I’m not an island or a lone warrior. I need friends and deep connection like I need air to breathe” – Conni Biesalski. It’s not easy to find like-minded people when you’re on the road. Everyone has different rhythms and different goals. At times your surrounded by people, and sometimes you’re by yourself. When you’re on the road and when you travel and work, you miss having a base to call home… until you find it. 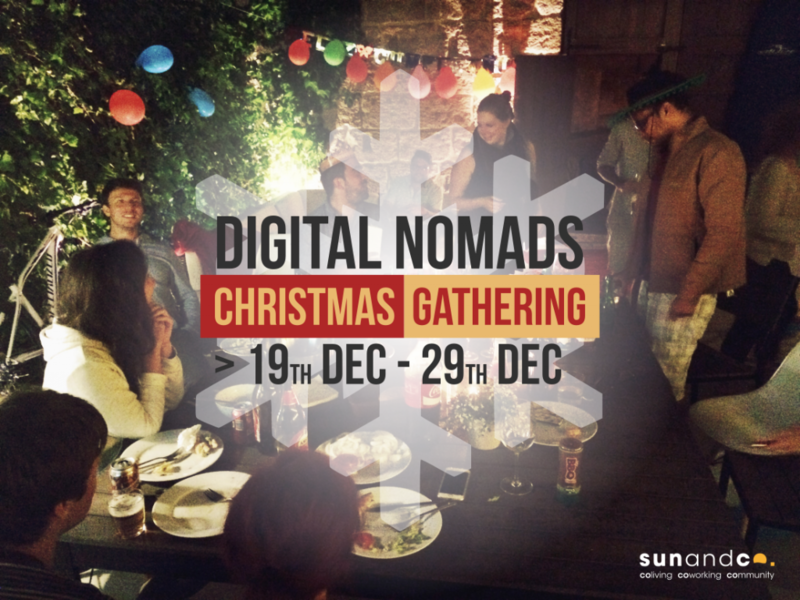 Digital Nomad Christmas Gathering in Sun and Co. coliving space. Who would have told you at the beginning of the year that you’d be where you are, at this very moment, staring at your laptop in this location. 2016 has brought us some incredible stories and experiences: Trips to different places, meetings with amazing humans, stories of success and also stories of failure. But there is something I’m sure about it: this year’s learning will stay in our hearts and minds forever. Now is time to share those lessons with other like-minded people. Share them around the kitchen while one of your mates cooks a delicious traditional homemade dish. Do it while you’re sharing a delicious red wine on the sofa while having a meaningful conversation. Exchange your new year’s resolutions with your new nomad family. 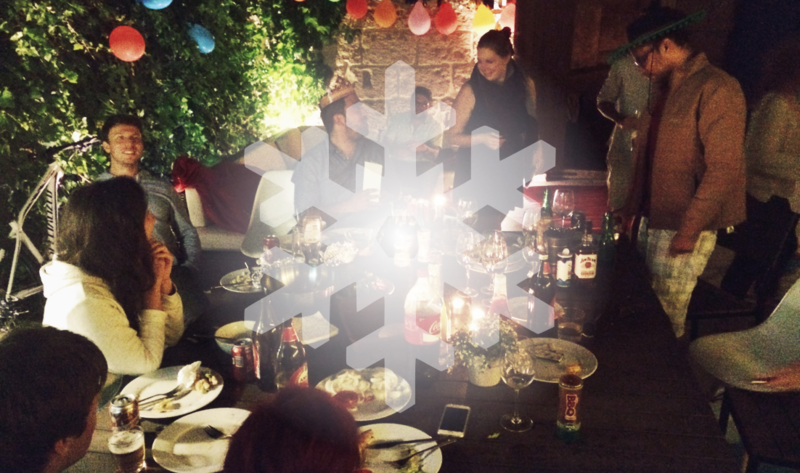 This is our present for you: we’re organizing the first Digital Nomad Christmas Gathering in our beautiful home in Spain by the sea. We’ll be celebrating until December 29th and we want to see you here! 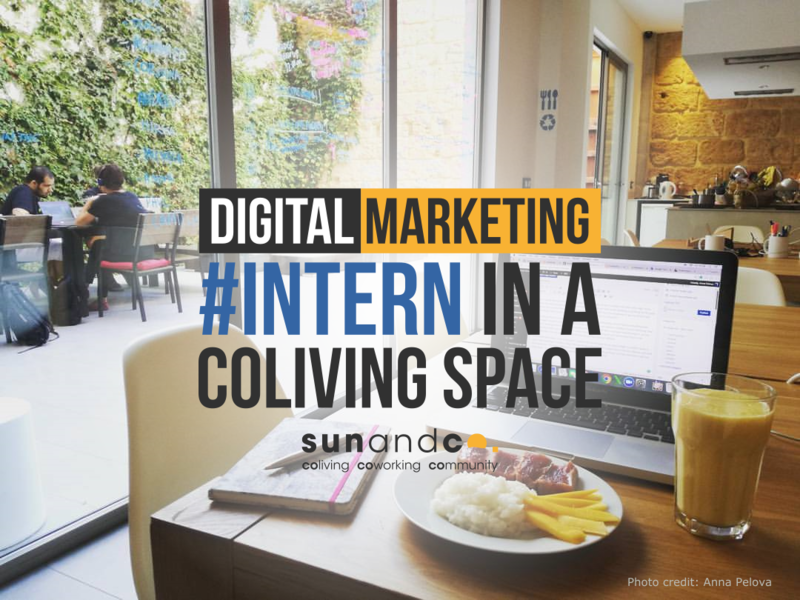 You’ll love our permanent Coliving space, and you can come whenever it suits you best. Join us and spend this time of the year celebrating your learnings and successes with your Sun and Co family.